RAVENOL ATF SP-IV Fluid is a synthetic automatic transmission oil (ATF) on the base of PAO (Polyalphaolefins) and the latest HC/HT hydrocrack oil technology formulated specifically for 6-speed Hyundai automatic transmissions. The special formulation provides superior properties compared to similar ATF. RAVENOL ATF SP-IV Fluid meets the requirements of the latest gear oil specifications from Hyundai and Kia. 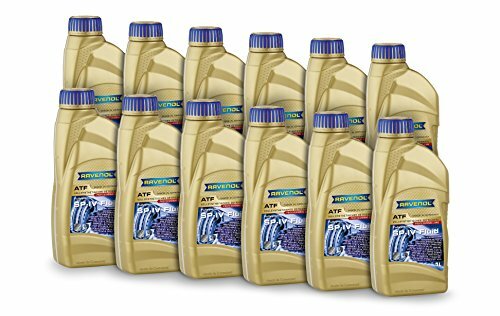 RAVENOL ATF SP-IV Fluid is recommended for all vehicles with Hyundai 6-speed automatic transmission A6LF1/2/3, A6GF1, A6MF1/2 from 2009 onward.